Give your much-loved recipes some love of their own by turning them into art. Family recipes passed down from parents and grandparents can become priceless keepsakes. 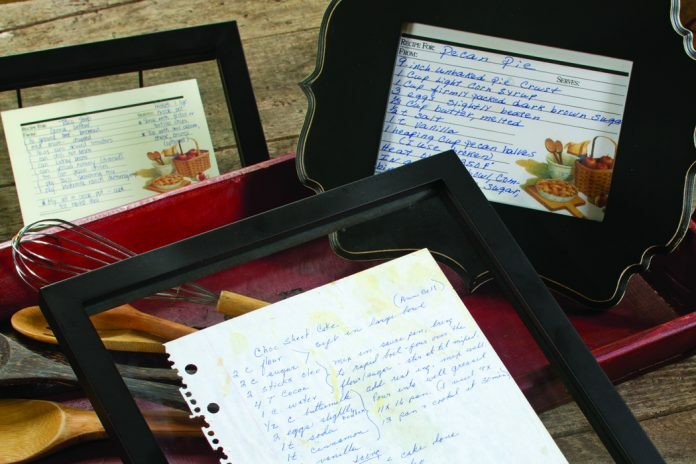 When framed, aged cards and scraps of paper, scrawled in familiar handwriting and detailing your decadent family favorites, make meaningful and and unique pieces of art, perfect for the kitchen.